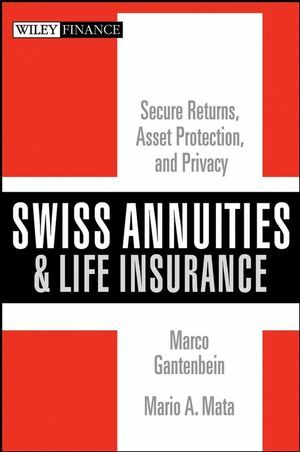 Swiss Annuities and Life Insurance examines the key characteristics of Swiss annuities and life insurance, and explains how the use of these products can help you achieve asset protection, growth, and, in some cases, significant tax planning opportunities. Swiss annuities and life insurance are an excellent alternative investment, particularly for high-net-worth individuals. 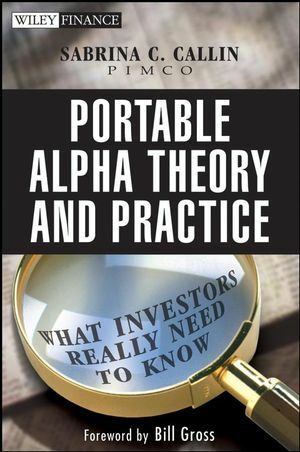 With this expert guidebook, you too will learn how to safely capitalize on these attractive products. Marco Gantenbein, TEP, is an international insurance specialist and the Managing Director of Swiss Annuities Consulting Group, Zurich/Switzerland. He has worked for many years as an insurance consultant in both the private and business sectors, and is a member of the Society of Trust and Estate Practitioners (STEP). Gantenbein graduated from Zurich Business School and holds a Swiss Federal Insurance Diploma. Mario A. Mata, CPA, TEP, is a business and estate planning partner and attorney with Cantey & Hanger, LLP. He has extensive experience in all aspects of business, estate, and tax planning for high-net-worth individuals and families. Mata is a member of the International Tax Planning Association and is Vice-Chair of the Asset Protection Planning Committee of the American Bar Association. Chapter 1. Why Switzerland (Christian H. Kälin, Henley & Partners, Zurich? Chapter 2. Switzerland: The Basics (Prof. Clive H. Church, University of Kent, Canterbury. Chapter 3. The Life Insurance Industry in Switzerland(Peter Lüssi and Dr. Peter Fierz, PricewaterhouseCoopers, Zurich. Chapter 4. Insurance Regulation in Switzerland (Monica Mächler, Swiss Federal Office of Private Insurance,). Chapter 5. The Role and Supervision of Swiss Insurance Brokers (Prof. Dr. Moritz Kuhn, Meyer Müller Eckert Attorneys, Zurich). Chapter 6. Asset Protection through Swiss Annuities & Life Insurance (Dr. Joachim Frick, Baker & McKenzie, Zurich). Chapter 7. Asset Protection Through Swiss Annuities and Life Insurance: The view from the U.S. (Mario A. Mata, Cantey & Hanger, Dallas). Chapter 8. Global Wealth Preservation Planning Using Swiss Insurance Products and International Trusts (Mario A. Mata, Cantey & Hanger, Dallas). Chapter 9. The Advantages of Liechtenstein Annuities and Life Insurance (Dr. Alexander T. Skreiner, former Managing Director, CapitalLeben, Schaan). Chapter 10. Asset Protection Through Liechtenstein Annuities and Life Insurance (Dr. Joe Gasser and Markus Schwingshackl, Dr. Dr. Batliner & Dr. Gasser, Vaduz). Chapter 11. Swiss Annuities vs. Asset Protection Trusts (Maehala R. Nathan, Swiss Annuity Consulting Group, Zurich). Chapter 12. Swiss Annuities in Self-Directed Retirement Plans (Marco Gantenbein, Swiss Insurance Partners AG, Zurich). Chapter 13. Survey of Basic U.S. Federal Income Tax Considerations in Purchasing and Holding an Annuity or Life Insurance Contract issued by a Swiss or Luxembourg Insurance Company (Frederic J. Gelfond, Deloitte Tax LLP, Washington D.C.). Chapter 14. U.S. Estate and Tax Planning Aspects of Life Insurance and Annuities (Glenn Fox and Dr. Paul A. Ferrara, Alston & Bird LLP, New York). Appendix A. Facts and Figures.